Swedesres is closed for Christmas and will be back in the beginning of 2006. 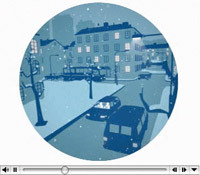 The Swedish Post office is trying new ways to get people to send postcards for Christmas. At this campaign site you can write or draw a postcard online, choose a front, pay the postage via SMS and a printed version of the card will be sent off to the addressee. In Swedish. As you may have noticed, Swedesres was down this weekend. 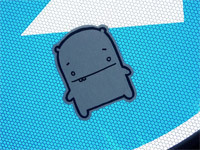 The problem was due to some kind of maintenance f’up of the TypePad-application. Sorry about that. 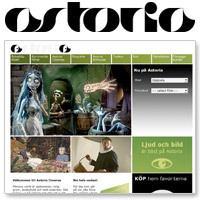 Stockholm DesignLab has updated their site with the Astoria project previously mentioned here. And the Astoria site is now up and running. 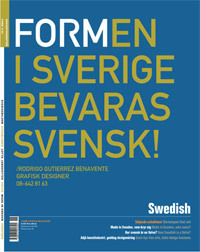 New issue of the design magazine Form out now, with a great cover by Rodrigo Gutierrez Benavente. 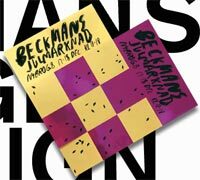 Time for the annual Christmas market at Beckmans this weekend, December 17–18. 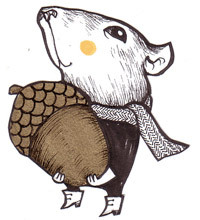 Speaking of Christmas, take a look at these Christmas cards by Hundräven, très cool! 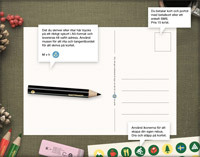 The Swedish design portal Up2Date gets even better. 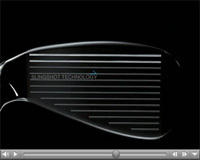 The site has undergone an extreme makeover and launched the face lifted version with a couple of new sections today. They’re looking for contributing editors, so send them an e-mail if you’re interested. Great work, keep it Up! In Swedish, related post here. Created by ÅkestamHolst and StyleWar. Sticker street art gallery at Art of Kongo. 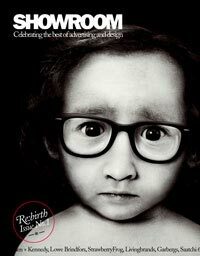 Advertising agency Money (formerly Collaborate) has a blog with some interesting posts. In Swedish. 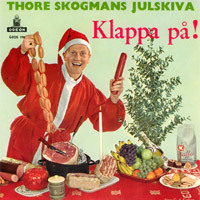 Check out JulIgen/Christmas Again, a site about Swedish Christmas records, written in English. According to the author of the site, a book is in the pipeline, hopefully ready for release next Christmas. The records can be heard at Club Sunkit Christmas Party in Stockholm on December 19. Not much content at Kristian Sällbergs’ portfolio site purestyle, but the nice flower metaphor navigation makes it worth a visit. 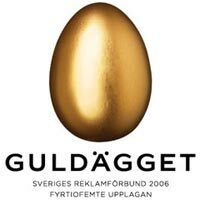 So, here it is... the new logo for the Swedish advertising award Guldägget, created by ForsmanBodenfors’ design division HappyF&B. 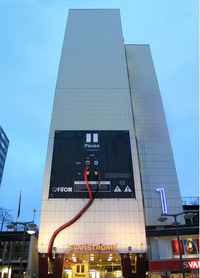 More info at Reklamförbundet, in Swedish. 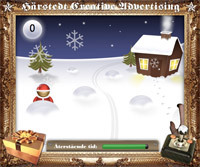 Some Flash-stuff going on at hca.se, try the snowball-throwing Christmas game here. In Swedish. Fashion photography by Helene Sandberg at her portfolio site. NY based agency Trollbäck are at it again with two new product films for Nike Japan here. Forsbergs Design School has launched a redesign of their site. In Swedish. 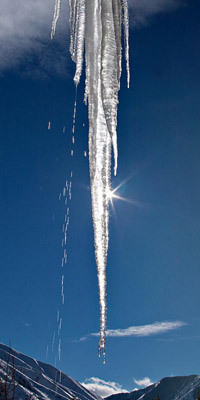 Check out the campaign site for insurance company If, and see if you have bad luck. The site is made by ForsmanBodenfors. Furniture producer Swedese open the doors to its new shop and showroom in Stockholm, Sweden on December 9. The showroom will display the entire Swedese furniture collection, accompanied by a selective range of design carpets, lighting and accessories. 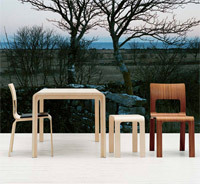 The interior was made by Claesson Koivisto Rune. 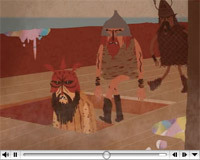 Also be sure to check the great graphics by Stockholm Design Lab. 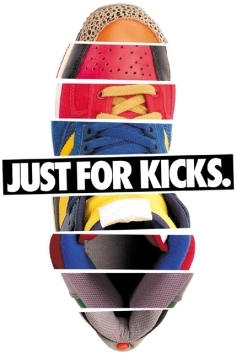 Club Yes will arrange a screening of the sneaker documentary ”Just For Kicks” this Thursday, Deceber 8 at Berns in Stockholm. DJ-ing at the after party will be none other than the great DJ Premier (Gangstarr). 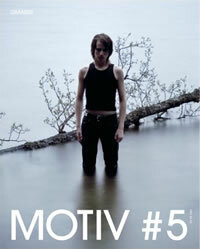 The Swedish photo magazine Motiv will release issue 6 on December 15 at Tranan Bar. Here’s an article from DN. In Swedish. 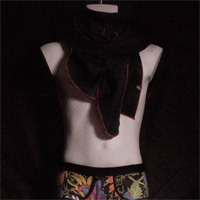 aya.nu is a Swedish retailer of Japanese designer toys with a large collection available online. Or get a closer look at their stand at Street Christmas Market December 10–11 and 17–18. 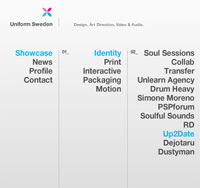 An updated version of Andreas Pihlström’s portfolio site Uniform Sweden is up and running. Nice work!